“Think globally, act locally” is as relevant today as it was in 1915, when Scottish biologist, sociologist and town planner, Patrick Geddes, wrote Cities in Evolution. We need locally produced, locally relevant programming to help us make specific connections between our daily lives and politics and those of the international community and the planet. Here’s the scene:Two children are fighting. They are fighting because the elder child has taken a toy from the younger one. The younger one protests and insists: “I want my toy. This isn’t fair!” And as this child yells, he is subject to the jeers and possible abuse of the elder child. Tracy Rosenberg claims that she helped save KPFA from bankruptcy. A close examination of that claim shows it doesn’t hold water. Virtually the entire reduction in staffing in 2010 was from union members who took voluntary layoffs. When the dust settled, and Pacifica was forced to rehire Brian Edwards-Tiekert, the only involuntary layoff that occurred in 2010 was that of the other Morning Show co-host who had been paid for a grand total of 27 hours a week. On Thursday, June 28, KPFA Radio mailed ballots to all KPFA subscribers. These aren’t actually ballots for the Local Station Board election, which will take place later this year. Instead, they’re ballots for voting on whether or not to recall Media Alliance Executive Director Tracy Rosenberg from the KPFA Local Station Board (LSB). 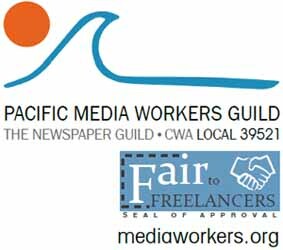 Why did KPFA CWA Local 9415 Members Picket the Pacifica Foundation? Management says that the insurance company that covers Pacifica offered the firm on a list, and that Pacifica contracted with it only to handle non-labor legal work, not with the bargaining units. CWA agrees that Jackson Lewis has not been used in any union arbitrations at KPFA.